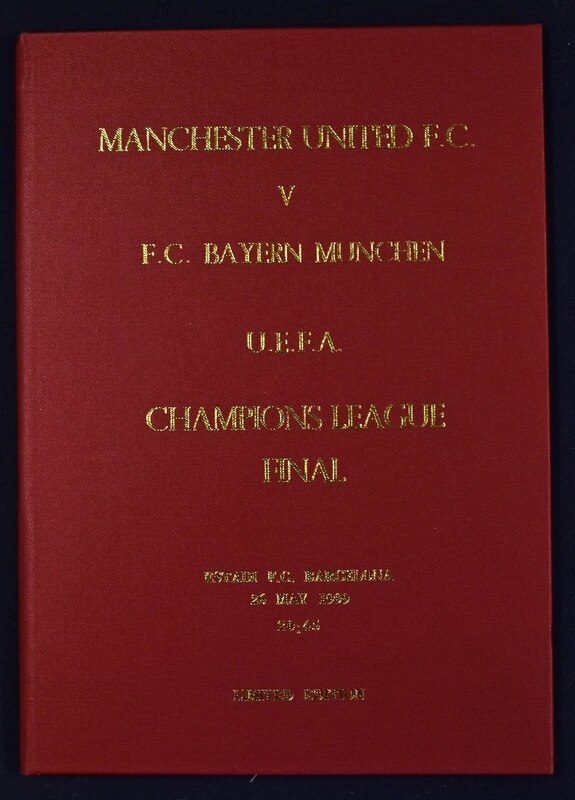 1999 Champions League Final, limited edition, hardback version Bayern Munich v Manchester Utd football programme 26 May 1999 at the Estadi FC Barcelona, red covers with gold lettering. Good to Very Good. 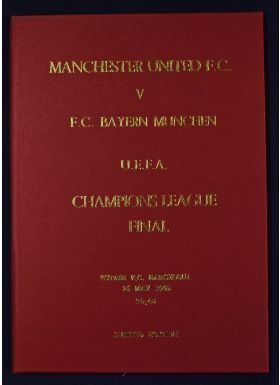 NB: The final part of the Manchester Utd treble jigsaw with the famous last minute Ole Gunnar Solskjaer winning goal.